Black and white negative showing Donald Ross Beaton in his military uniform. He is standing in front of a fireplace. 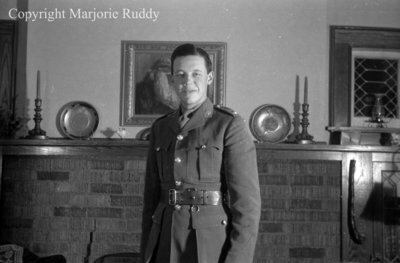 Donald Beaton, November 22, 1939, Marjorie Ruddy. Whitby Archives A2013_040_816D.